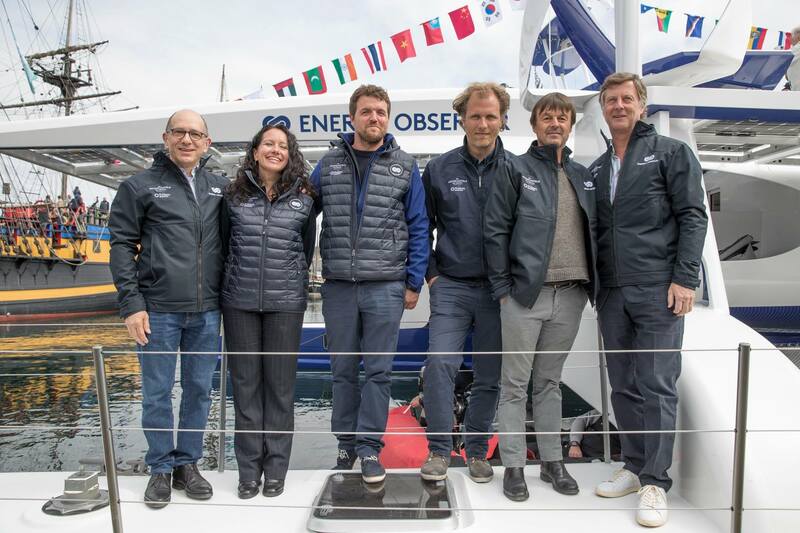 As the main partner of Energy Observer, the first energy autonomous hydrogen vessel, AccorHotels was in Saint-Malo on April 14th for the launch of the boat. Powered by renewable energies, Energy Observer is preparing for a six-year expedition around the world without emitting greenhouse gases or fine particles. The technologies acquired during the design and realization of the boat and tested during its voyage, will be reproduced and verified in a hotel environment with a view to wider deployment. 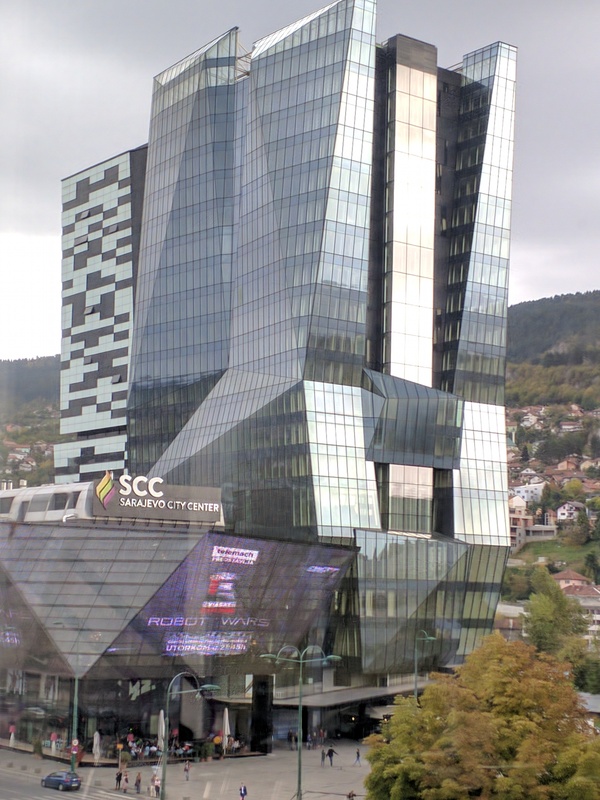 AccorHotels and Swissôtel announce an agreement for the Swissôtel Sarajevo. The Swissôtel brand has signed a franchise agreement with Al Shiddi International of Riyadh, one of the biggest investment companies in Saudi Arabia, for the opening of the Swissôtel Sarajevo scheduled for 2018. The hotel’s design will be entrusted to Scott Brownrigg Associates, a British company with a wealth of experience in the development of high-end hotels in Europe. The hotel will have 218 spacious rooms with panoramic views of the city and the mountainous landscape, three fine-dining restaurants, a Pürovel Spa & Sport area and 500 square meters of meeting space. Swissôtel Sarajevo will enjoy a prime location: situated near the Bosnian Parliament, the international airport and the capital’s best tourist attractions and sites. It will form part of an extensive city center development project including a shopping mall as well as a business tower hosting 30,000 visitors daily, and will become the Bosnian capital’s new landmark. With the agreement for this completely new hotel, AccorHotels is penetrating the Bosnian market and continuing its expansion in Europe. The Swissôtel brand is also extending its international reach with numerous other ongoing projects in China, India, Russia and Turkey. Three exclusive events taking place on the terraces of AccorHotels Group’s luxury hotels: the opening of the Blossom restaurant in Sofitel Paris le Faubourg, the reopening of the roof terrace at Hotel Molitor and an exclusive partnership between Sofitel Marseille and La Villa Schweppes. In the heart of Faubourg Saint Honoré, Sofitel Le Faubourg announces the opening of Blossom, the hotel’s new restaurant. This venue is intended for Parisians yearning for Nature. Here, Head Chef Alexandre Auger and Patisserie Chef Shereen Khelif are offering a healthy yet decadent cuisine which respects the seasonality of ingredients: plant-based dishes, detox juices, gluten-free desserts or, in contrast, urban classics complemented by a glass of red wine. The restaurant, designed as a winter garden, links onto the terrace where guests can enjoy the tranquility of the location. Large mirrors open up the space and augment the decor, transforming the terrace into an incredible garden. The roof terrace at Hotel Molitor is reopening its doors. Here, guests will be able to come and enjoy seasonal cuisine and exclusive cocktails, all specially created by the hotel’s mixologists. They include "The Rooftop is on Fire" – a perfect blend of Bombay Sapphire gin, a stick of fresh lemongrass, pepper and premium tonic water. What’s new about the roof terrace this year? Guests can enjoy breakfast here to make the most of the morning sun. Hotel Molitor has teamed up with Sony Music Entertainment for the third consecutive year to bring its roof terrace to life during the French Open fortnight. This pop-up space becomes the Tournament’s afterclub, where one of Paris’ most beautiful terraces provides the opportunity for a moment of relaxation. Also to celebrate the French Open, Molitor is offering an exclusive lesson in Fit Tennis on the hotel’s rooftop on Saturday May 27. The program includes a workout combining tennis moves and fitness exercises all to the sound of music and in a friendly atmosphere. There will be other surprises to discover during the day. Players from the French tennis team will also join the participants. 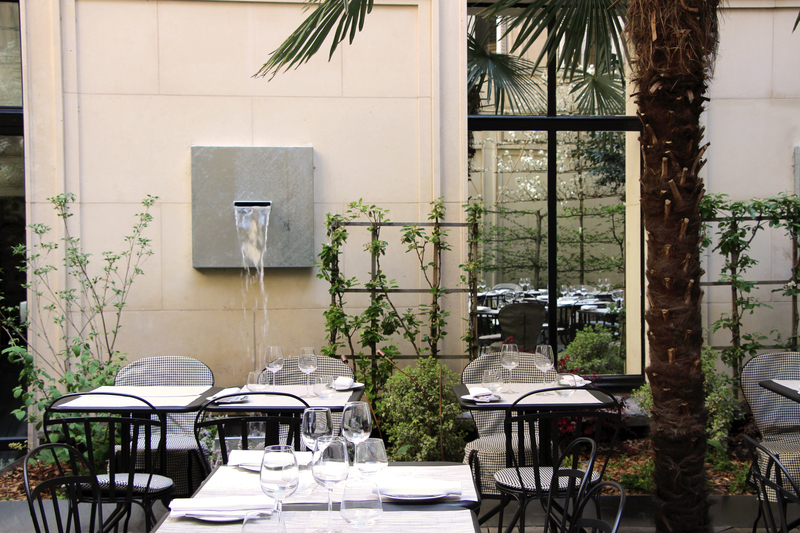 Outside Paris too, our hotels are bringing their terraces to life. This is the case for Sofitel Marseille Vieux Port which has teamed up with La Villa Schweppes for one evening, on Wednesday May 3. Guests are invited to the Dantès Skylounge bar’s 150m² terrace to celebrate its reopening for the summer season. They will be able to enjoy a menu of unique cocktails by Schweppes and Bombay Sapphire, all bathed in a musical atmosphere created by DJ Sced (La Villa Schweppes resident DJ), accompanied by singer Tennin. Pullman Paris Centre Bercy strengthens its presence on social networks via an explosive campaign. 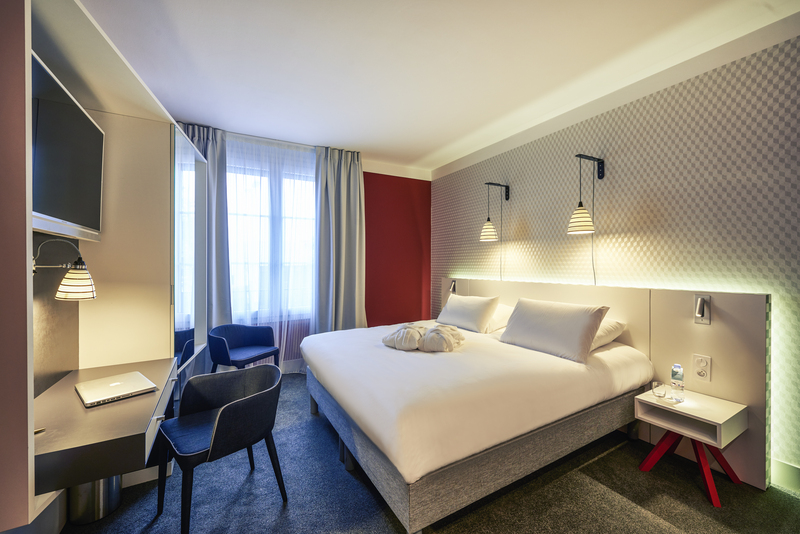 Pullman Paris Centre Bercy has set itself a challenge: if the hotel succeeds in getting 1,000 followers on the social network Instagram before Wednesday May 17, the Managing Director will lay on a giant barbecue on the terrace of the l’Esprit du 12ème restaurant. It was during a conversation with the Head Chef that Jérôme Cherpin promised to organize a giant barbecue himself, on the house, if the target is reached. This event will take place on Thursday May 18 at 7pm and will be open to all food lovers wishing to come and enjoy the hotel restaurant’s lovely terrace. The countdown has started - all you need to do now is follow @pullman_paris_centre_bercy on Instagram! Giant Barbecue: are you up for it? The Pullman Paris Centre-Bercy and Molitor Paris, MGallery by Sofitel hotels invite sports enthusiasts to try out their latest Wellness offerings. This year, the hotels are preparing guests and locals alike for the summer season with full and varied sports programs. It is the perfect opportunity to take a moment to relax, to look after yourself or simply disconnect in top quality surroundings. 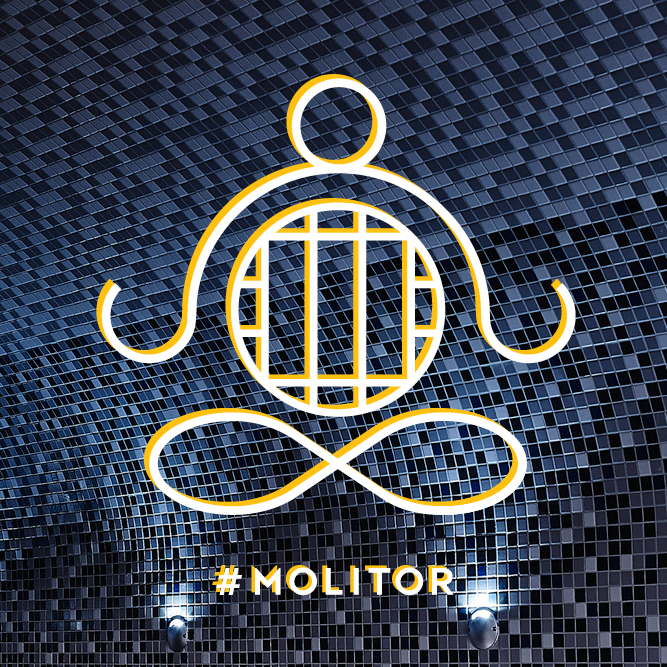 At the Molitor Paris, MGallery by Sofitel hotel, Club Molitor has its very own Yoga Studio. Created by lovers of the discipline, this new space is intended to be a little cocoon of peace and relaxation in the heart of Paris. Its carefully selected instructors are renowned in their field and have many years’ experience teaching yoga in top studios all around the world. With their different specializations and backgrounds, each instructor will bring a wealth of expertise and a unique approach to the studio. Four types of yoga will be taught, catering for all guests: warrior yoga, a dynamic, unstructured version of traditional yoga that is practiced to music; hatha yoga, the most widespread style in Europe, which consists of a series of long-hold postures; vinyasa yoga, a series of dynamic, breath-synchronized movements; and yod’ha yoga, a cardio workout composed of a series of uninterrupted movements that are similar to dance choreographies. The Pullman Paris Centre-Bercy hotel is partnering with the sports club CMG Waou Bercy, which is renowned for its personalized coaching, to offer four dynamic fitness sessions. The program includes: Grit Cardio, Body Attack, Zumba and Boxing & Jump Rope - all great ways to unwind and enjoy yourself at the end of the day! All the sessions will take place on the back terrace of the Pullman Paris Centre-Bercy hotel, in complete privacy. Afterwards, the hotel’s bartenders will offer refreshments on the terrace: a selection of iced teas and housemade detox juices as well as a variety of dried fruits. 60-minute group or one-to-one* classes (towels, mats and blocks are provided and participants have access to the steam room, locker rooms, showers and towels). Free classes and refreshments available by registrering at h2192-sb11@accor.com subject to availability. Ten years ago, Pullman Bangkok King Power was the brand’s very first hotel. Today, it is the first to get a complete refurbishment in line with the brand concept “Our World is Your Playground.” The hotel’s transformation began with the lobby. Upon entering the hotel, guests discover the brand’s new concept, “The Junction, Pullman’s New Lobby”, which goes beyond a simple reception lobby to become a true living space. This area has become the ideal place for business meetings and informal gatherings. Throughout the day, guests can savor gourmet coffee and tapas-style snacks. In the evening, “The Junction” transforms into a playground for travelers with signature cocktail tastings and a lively atmosphere provided by a DJ. The 354 guest rooms, including 18 Deluxe Balcony Rooms, have been redesigned using warmer, more inviting tones and materials. 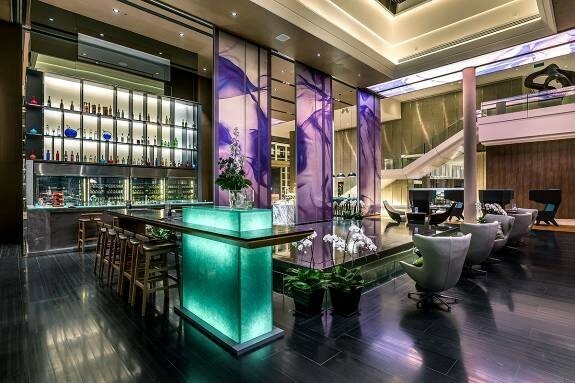 The five dining areas in the hotel have been entrusted to the multi award-winning designers Architects 49 (IA49). Pullman Bangkok King Power also has an ultramodern business center: 600 sq. m of modular space with 20 meeting rooms. Bathed in natural light, the brand new Eternity lobby offers the latest technology, Italian home cooking by Marrone and an entrance reserved for vehicles during automobile exhibitions. The hotel staff’s uniforms have also been redesigned — by Chamnan Pakdeesuk, Thailand’s foremost fashion designer— combining comfort and couture spirit. The hotel’s other amenities include a comfortable spa, a state-of-the-art fitness center, a 27-meter outdoor pool with a Jacuzzi and a children’s wading pool. Until the end of june, guests reserving a PRIVILEGE room at a Mercure hotel in France will receive a free Birchbox* containing three carefully selected trendy beauty products: a Naobay cream, a Batiste dry shampoo and a Merci Handy product. In line with the brand repositioning initiated in 2013, Mercure rooms now offer a contemporary style taking inspiration from the local area: prints on the headboards, photos of the region, furniture styles of the area, etc. The PRIVILEGE rooms include extras such as bathrobes, an expresso machine, non-alcoholic drinks as well as many other details ultimately providing a much higher level of service. AccorHotels has announced its expansion in Melbourne, with a new 4-star hotel to be developed next to the Melbourne Convention and Exhibition Centre. 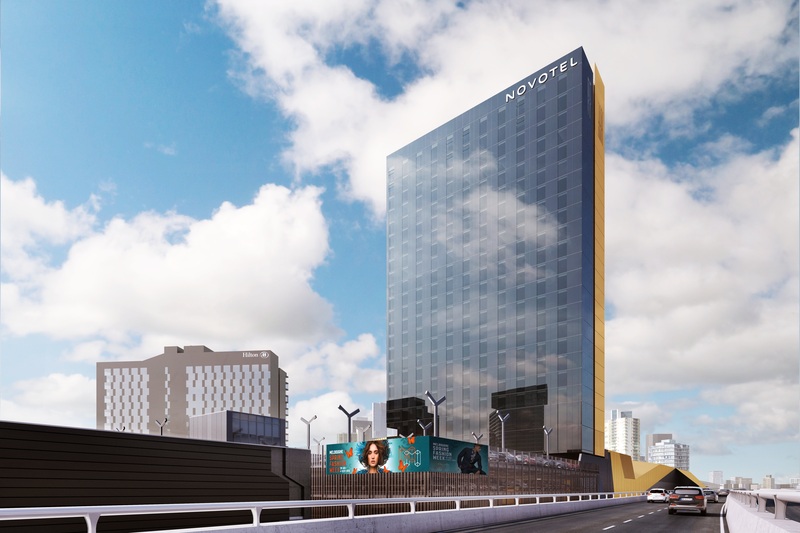 The new-build 347-room Novotel Melbourne South Wharf will encompass 347 rooms incorporating the global Novotel ‘N Room’ design as well as Novotel Gourmet Bar and Food Exchange concept. The hotel will encompass Novotel brand identifiers including Live N’ Dream bedding, interactive TV’s and FairTrade bathroom amenities, and free barista coffee at breakfast. Novotel Melbourne South Wharf is currently under construction and is scheduled to open by the first semester of 2018. The project is located close to the expanded exhibition space of the Melbourne Convention and Exhibition Centre, providing business and leisure guests more high-quality accommodation options on the Yarra River’s south bank. Novotel brand has been selected by Middle East hotel owner and developer, Action Hotels Group plc. The new Novotel Melbourne South Wharf will complement the existing Novotel Melbourne on Collins, Novotel Melbourne Glen Waverley and Novotel Melbourne St Kilda hotels in the city, and join the brand’s established global network of over 450 hotels and resorts in 61 countries. 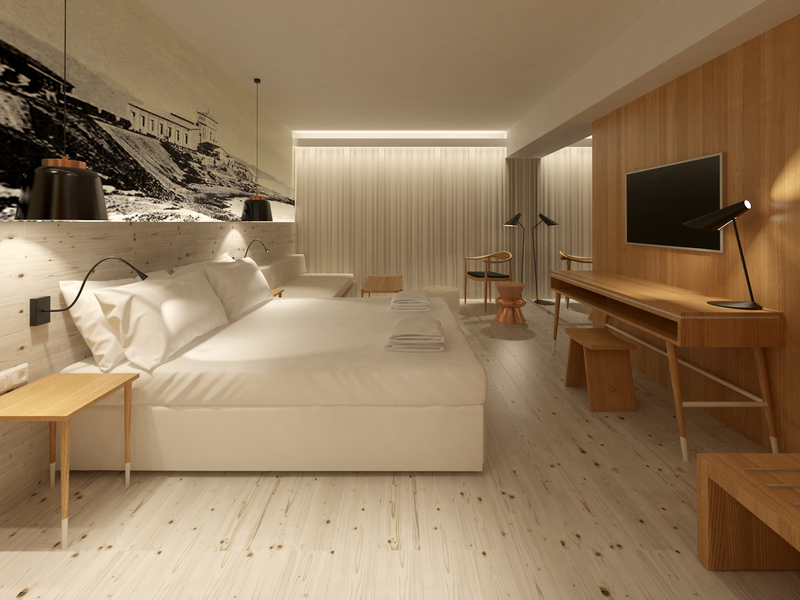 AccorHotels has announced its expansion in Greece, with the opening of the first ibis Styles hotel in Heraklion in Crete. Standing within the historic and commercial center of Heraklion, the hotel offers 72 rooms and suites. This venue participates to reveal the modern side of Heraklion city. The ibis Styles Heraklion Central Hotel is being strategically located between the center of the city and the yacht harbour, and only 10 minutes away from the international airport. A private square and an exquisitely renovated neoclassical building is the first image when entering the hotel. The guests can find an exquisite restaurant and bar where they can relish tasteful delicacies. Furthermore, the hotel features a secured indoor car park and is at close proximity from the most important city attractions and shopping mall.